While Hispanic and black Americans are less likely to own a personal computer or home broadband than whites, they are almost just as likely to own smartphones, according to a recently published study by Pew Research. Smart phones also are more likely to be the primary means of internet access for lower-income African-Americans than for whites. Personal computer: 83% of whites own desktops or personal computers, compared to 66% of blacks and 60% of Hispanics. 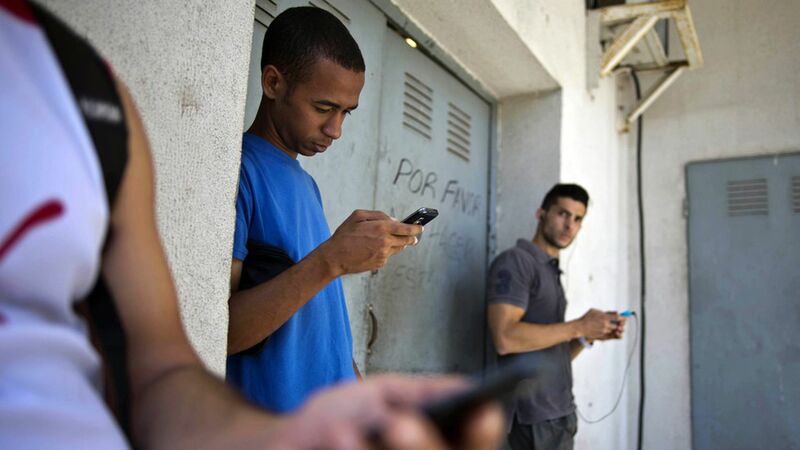 Smartphones: 77% of whites own smart phones, compared to 72% of blacks and 75% of Hispanics. Low-income: 63% of blacks who have an income less than $30,000 have a smartphone, while only 51% have broadband at home. Why it matters: Smartphones help bridge the gap to internet access for minorities who aren't as likely to have broadband. Pew Research found that libraries also play a crucial role, with 41% of black library users taking advantage of library computers and internet access, compared to only 25% of whites.